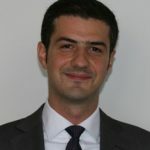 Dimitrios Kyritsis is Associate Professor at the University of Reading School of Law. Previously he was Lecturer in Law at the University of Sheffield and Hauser Global Law Research Fellow at New York University. Dr Kyritsis completed his DPhil at the University of Oxford. His primary areas of expertise are legal and political philosophy and constitutional law. He has a special research interest in issues regarding religion in the public sphere. His monograph Shared Authority: Courts and Legislatures in Legal Theory is forthcoming from Hart Publishing.